An enchanting indie pop outpouring of intimate weight, Tishmal’s “Heavy” resonates with heart as the artist opens herself up to another. The great thing about life is that we’re not alone in our successes, nor in our struggles. It’s never easy to ask for help or admit that we can’t navigate a hardship on our own, but that’s all a part of the experience: We’re just figuring it out, day by day. An enchanting indie pop outpouring of intimate weight, Tishmal’s “Heavy” resonates with heart as the artist opens herself up to another. Atwood Magazine is proud to be premiering “Heavy,” the brand new single from emerging indie pop artist Tishmal. The debut solo project of San Diego native and recent New York City resident Rachel Brockbank, Tishmal delivers an immersive, heightened pop experience through lush sonics, massive melodies and propulsive percussive beats. The name “Tishmal” means hummingbird in Luiseño, the language of her Native American heritage; her family gave her that name early in life when she started music. Debuting just over a year ago with the song “Underneath,” Tishmal made a big splash in early 2018 with her five-track self-titled EP, introducing listeners to an artistry of down-to-earth lyrics mixed with rich, bustling pop-oriented soundscapes. 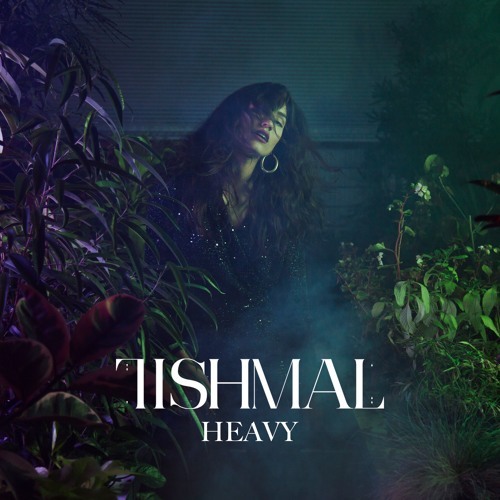 “Heavy” finds Tishmal returning to the fray nearly a year later, sounding as fresh as ever with renewed confidence and poise. Brockbank sings gently but with purpose, her every word falling with important weight as she maneuevers the intricacies of our most vulnerable moments. Everything comes to a head in an overwhelmed chorus full of emotive strength. The artist proclaims, “I can’t stop it… Caving in, and I need you with me,” ultimately dropping all pretense and coming to the conclusion that she can’t do it alone. With its dynamic, expansive sound and intimate lyrics, “Heavy” hails an exciting new chapter in Tishmal’s career as she navigates New York City’s bustling independent music scene. Stream the new track exclusively on Atwood Magazine ahead of its release this Friday, 12/6/2018!